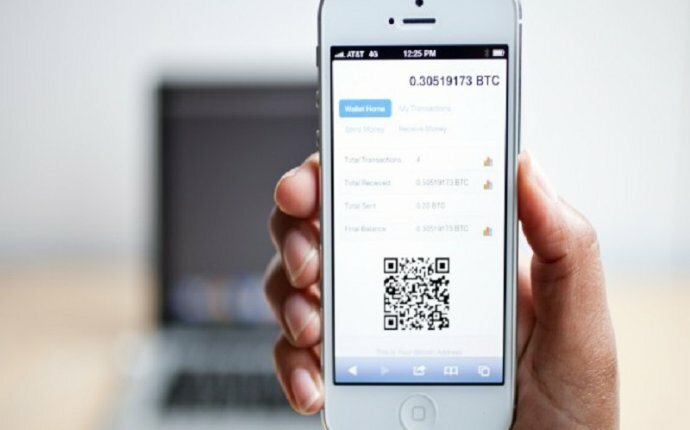 You may have noticed the Import/Export feature in your Blockchain Wallet before, but didn’t quite know what it is used for. Maybe you clicked it, but didn’t go any further because of the Advanced Security warning message. Don’t worry, the message just gives you a heads up that changes to the Import/Export section could impact your wallet and your bitcoins. It’s okay to proceed, but if you don’t know what you’re doing – you should not make any changes to this section until you fully understand the implications. We’ll walk you through this section, which should help give you a better understanding of what it’s about and what you can do in this section. When you land in the import/export section, you will see this page below. In the Import section, the first sub-section option you have is to add a Watch Only address. This means you can add any public bitcoin address in the world here and keep tabs on it. By watching the address, it means you have read-only permissions, and cannot spend bitcoins using this address. You can’t use it; you can only monitor it. It’s a nice feature to monitor an address for a few reasons, but mainly if you have bitcoins in cold storage, you can monitor them without the bitcoins being in a hot wallet. In the Import section, the second sub-section option is Import Private Key. This section is specifically for bitcoin addresses that you own, and have both the public and private keys to. Maybe you had your bitcoins in an exchange, and want full control over them – this is the place to do it. You can import the private key from an address you own into the Blockchain Wallet. This will allow you to actually send and receive bitcoins to and from this bitcoin address. As part of the Import Private Key process, you have the option to import keys directly, or sweep the keys. “Sweeping” keys simply means you take all bitcoins from this private bitcoin address, and move them into one of our existing bitcoin addresses. This is a safer more preferred method over importing keys to your wallet. In the Import section, the third sub-section option is Import using paper wallet. Just as it sounds, you can import with a private key but by using a QR code. Instead of typing in your alphanumeric private key, you can scan your QR code instead and import the private key that way. This section keeps a running list of backups of your Blockchain Wallet. Every time there is a change in your wallet, a new backup is created. It’s good to have your wallet backup from Blockchain automatically, or you can manually backup your wallet yourself – learn how here. With the automatic backups, at any time you can import a previous wallet file. This is one of those sections where if you don’t know what you’re doing – don’t do it. By clicking the “import” action, Blockchain will import the last known wallet file and overwrite what is in your wallet currently. Importing your wallet is part of having a manual backup of your wallet which you have created – again if you don’t know how to do this, read here. In this third section, Blockchain accepts wallets in different formats, with AES encrypted wallet backups being the most common and secure for Blockchain users. Just copy and paste your wallet backup data into this section to manually import your wallet backup. This is another section, similar to Import Backup, where if you don’t know what you’re doing – don’t do it. Make sure you have a full understanding of wallet backups before importing one. In this section, you can manually export all of your wallet private keys using Advanced Encryption Standard (AES). This is just another method for Blockchain Wallet users to export their wallet private keys, using AES for more security, so at any time you can import them back to your Blockchain Wallet (or any other wallet for that matter). As we always point out to our users, you control your bitcoins, nobody else. Blockchain is very transparent when it comes to your bitcoins; it’s something you should always be aware of and expect from any bitcoin service. @jedws Blockchain is a distributed protocol for systems that don’t trust each other to agree what order events happen in. @#thewildcard: "Together PwC & Blockstream will help companies evaluate cryptocurrencies #blockchain technologies & launch new uses4 the #Bitcoin protocol"